Magic was purchased from Sandy Warren of Warren Stud Park. 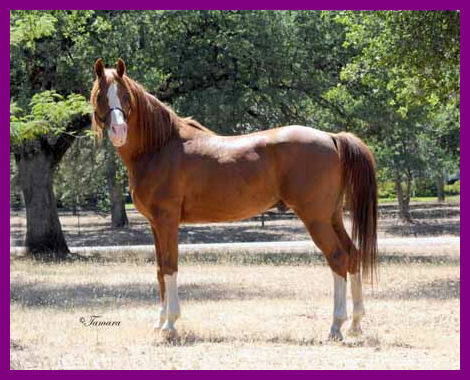 Magic was shown once to a Reserve Championship in Country English Pleasure as a 5 year old. 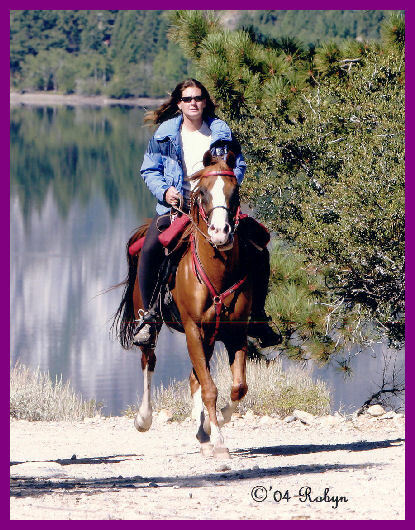 After that he started endurance riding in 2000 and has 1,270 AERC miles. 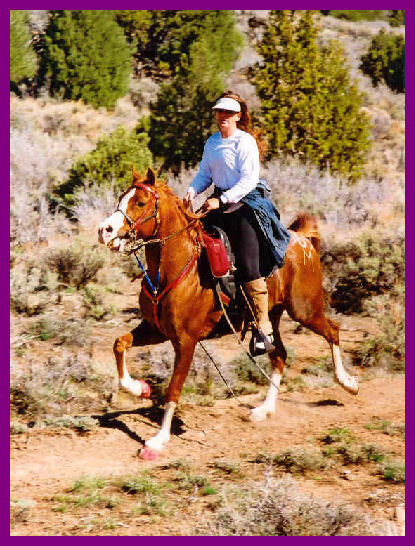 Most of his miles were with a Heavyweight rider of over 235lbs with tack. 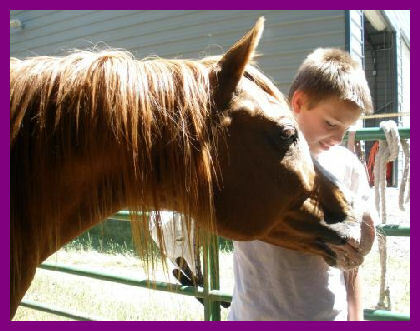 Considering he is only 15hh and 940 lbs with tack he has carried over 25% of his body weight. Quite an impressive feat. He'll be 14 years old in 2007 and still going strong. 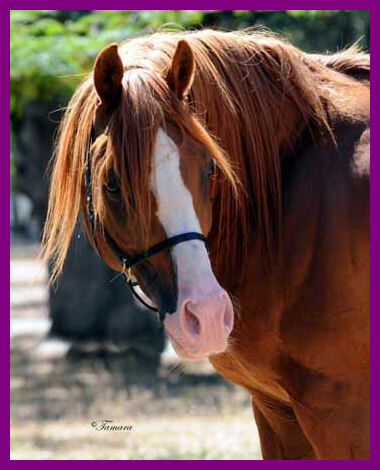 Magic has the versatility of his ancestors, along with the trot associated with a double Aurab pedigree. In addition, Macic Aulrab has the pretty you would expect from a horse who's 4th dam is a Fadjur daughter out of a Ferseyn daughter. 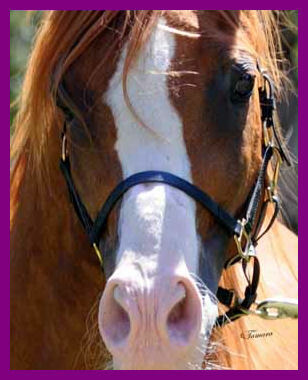 Magic Aulrab has 14 crosses to the great Crabbet import *Nasik, through his son Rifnas, produced a line of big, bold, chestnut trotting horses with a very specific style. As you can see, Magic Aulrab has that special style! Magic Aulrab has been a consistent sire of pretty athletes. He currently has 2 offspring competing in endurance. 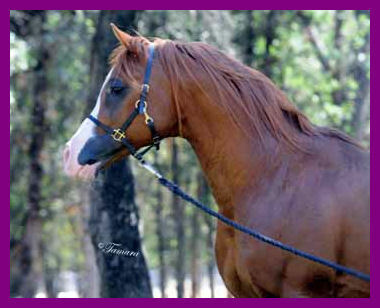 Both are full siblings, Aul The Magic a 1998 gelding and Aul A Frolick a 2000 mare. Aul The Magic was also shown to a Regional Top 5 Sport Horse in Hand Gelding as a 3 year old. In addition to these 2 he has 2 other sons that have completed 50 mile rides. 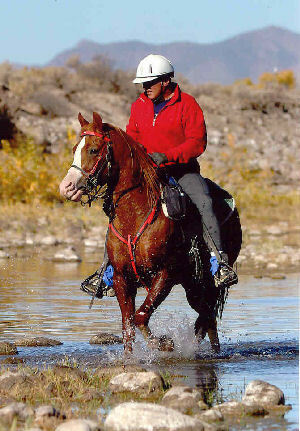 His get that are under saddle are very game and willing to work. They also inherit his type and style. 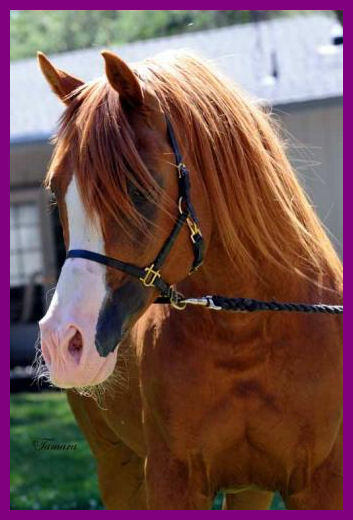 Magic Aulrab is arguably Aulrab's most look alike son in phenotype as well as one of the prettiest horses you will find in this sire line.